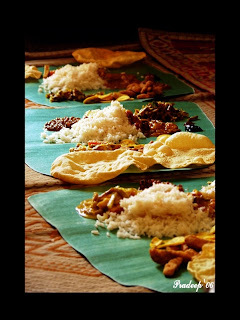 FOOD: Festivals are a big deal in India, delicious food being one of the priorities. No matter what is cooked on that auspicious day it tastes good. At least that’s what I have heard. Four strangers sitting across the table trying to make sense of the word family doesn’t make then a family. Food cooked with a lot of resentment and out of sheer compulsion can never satisfy hunger. Staring at my plate I’m lost in oblivion. Food looks colorful and happy, yet they need to be eaten. Flex your muscles to produce that perfect smile if guests sit across your chair. This is added pressure. I deserve an Oscar. I always knew negative emotions can ruin a perfectly cooked dinner. Dinner is nothing it can ruin every single moment of your existence. I wish I was born in a faith which had only one festival in a year. This means you don’t have to re enact your Oscar winning performance every few months. Once a year you dress up and give that one amazing performance. I can see my critics applauding. Confetti everywhere and a scantly clad supermodel with a piece of shiny metal with my name engraved at the bottom. Freedom for the rest of the year. The person who thought cooking a scrumptious meal on festivals would bring people together was surely out of his mind. Let me try and paint a rather grim picture of what exactly goes on. Terror starts with the making of the list. The temperature in the room is directly proportional to the sum of the items and the number of guests to be invited. At times the temperature is comparable with that of the surface of the Sun itself. If you are not subjected to these kinds of extreme radiations since you were a toddler there is no way you can survive. Your head might even explode into 546 minute pieces. Acquiring the items on the list posses a whole new challenge and at times public humiliation. Expensive items are least coveted. Expensive items are called expensive because they are expensive and the price will only increase as the years roll on. Even if you derive this in the form of an equation and get a certified mathematical genius to approve of it, some people just won’t believe you. Purchasing items that are not on the list no matter how good or how cheap and even if it is free is highly unacceptable. So is leaving an item from the list. Cooking the food is the biggest hurdle. The kitchen is booby trapped with curses; enter at your own risk. The ankle bracelet made mandatory, is a detonator in disguise which prevents you from venturing outside the main door. Failing to adhere will lead to the detonation of the small device you are made to wear around your neck which is rigged with a small amount of c4, severing your main arteries and rendering you paralyzed for life. Food has to be eaten in a gentlemanly fashion. No matter how dark your heart is it doesn’t matter as long as you have etiquette. The hosts feed their ego with the praise of the guests. Trying to keep a straight face seems to be the hardest part. The clock seems to be playing with my mind. After every 2 seconds the second hand moves once in the opposite direction. For every 3 seconds you have only moved once into the future. These kind of fun activities with your every day clock takes your mind of all these mundane bickering. Finishing all the dishes on your plate gives you 10 bonus points. Each point is worth a minute of complete silence in the house. I always finish all my dishes.
. No matter how good the critic is and how just the review is the artist always gets offended. People who have uber inflated egos can cook up a storm when offended. As the abuses seem to swirl around in the room I duck and dive for cover under the table. The fury of the situation makes itself visible in the form of “the eye of the storm”. Caught in it I try and keep myself alive. Swimming to get away, I am Collateral damage. All this for food. Food one of the things that keeps us alive. Fat people even say it cures depression. 10 kilos later I still feel the same. Now I’m depressed because I’m fat. People in Somalia are dying because they don’t have enough food. I’m dying because I’m made to eat food. I end up searching anorexia nervosa on Google. As the days go by I’m more and more attracted to skinny girls. Girls that never eat. On festival you sit across the table with her, no food to eat and no nasty bickering. Just water to console the soul. Just water to start a new family. Just water to keep you alive. Just water to feel the love. Just water.